PUBG Corp., the studio behind PlayerUnknown’s Battlegrounds, has launched a lawsuit against Epic Games, the developer of Fortnite. According to The Korea Times, the lawsuit was filed in January of this year, but it only became public this past weekend. The matter will be decided in the Seoul Central District Court. The South Korean company is suing Epic Games for copyright infringement. PUBG Corp. is claiming that Fortnite’s Battle Royale mode copies PUBG’s interface and in-game items. No further details concerning the claims have been revealed. 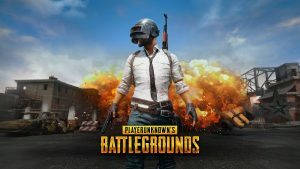 Further complicating the matter is the business relationship between Bluehole, the parent company of PUBG Corp., and Epic Games. PUBG runs in the Unreal game engine, which is maintained and developed by Epic. Both companies have also been the recipients of big investments from China’s Tencent conglomeration. This isn’t the first time PUBG Corp. has sued another studio based on alleged copyright infringement. Earlier this year, it sued Chinese gaming giant NetEase over its mobile games Rules of Survival and Knives. The specific details of the copyright claims have not yet been publicly disclosed.